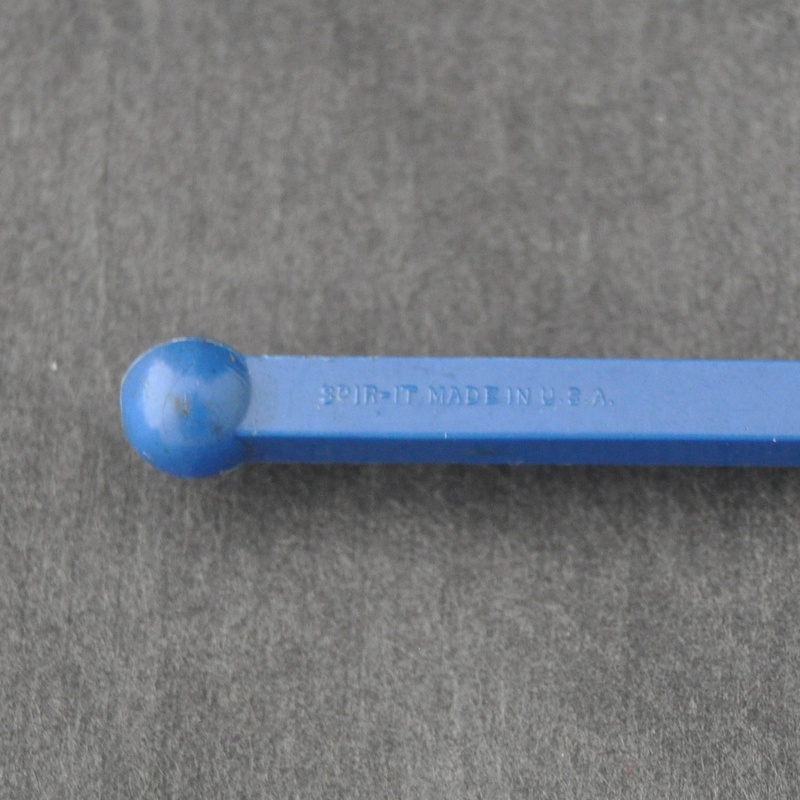 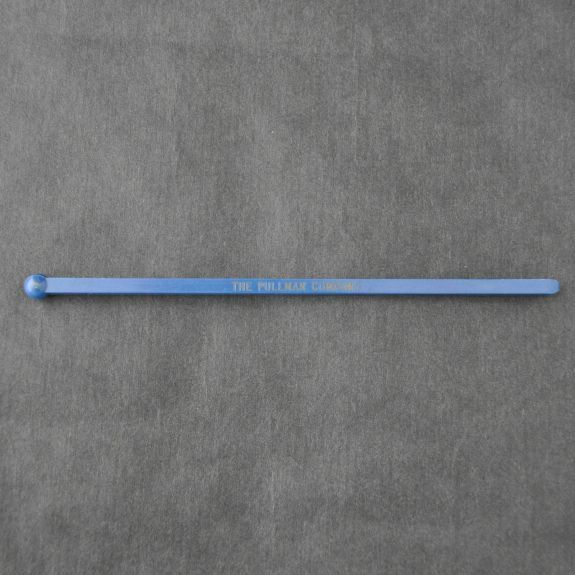 Description The Pullman Company Dining/Lounge Car Service 6" Blue Swizzle Stick or Drink Stirrer. 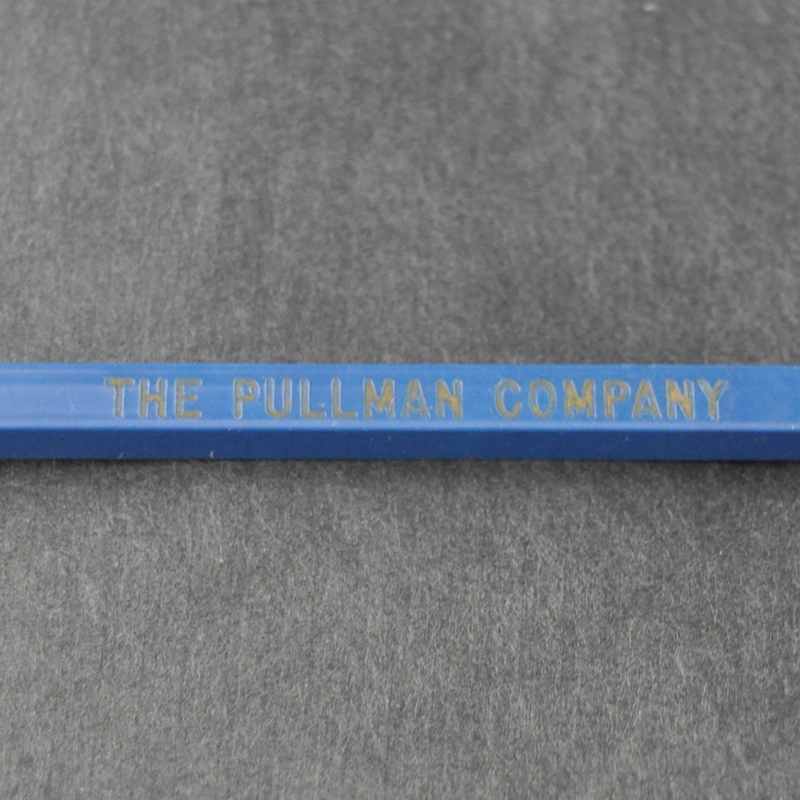 Marked "THE PULLMAN COMPANY" in gold letters. 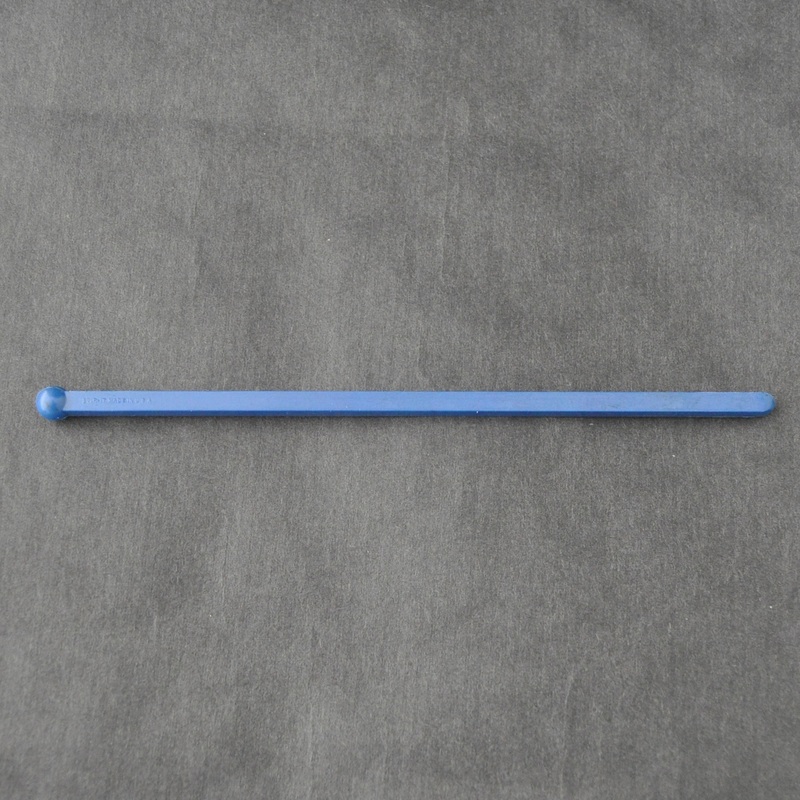 Made it a darker plastic and has a dull finish when compared to other Pullman swizzles.